"After Independence, for a long time, the Congress and BJP were in power... even in Congress-ruled states, wrongful practices came to notice... so they eventually lost voter base..."
These remarks by Bahujan Samaj Party (BSP) president Mayawati, made at the first joint rally organised by her party in Deoband along with the Rashtriya Lok Dal (RLD) and Samajwadi Party, touch upon what can be considered the alliance's primary concern — their voter base. When announcing her decision after the Assembly election results were declared in December 2018, the BSP chief had emphasised that the move was to ensure that they kept the BJP out of power, not because her party supported the Congress. In fact, in March, Mayawati ruled out the possibility of an alliance with the Congress "in any state". After the former rivals came together in Uttar Pradesh, shunning the Congress, Samajwadi Party chief Akhilesh Yadav had said that he had "immense respect" for Congress president Rahul Gandhi, but the grand old party was kept out of the SP-BSP alliance in Uttar Pradesh to correct the "poll arithmetic" necessary defeat the BJP. "If you take out the number of seats in Uttar Pradesh, you will notice that the BJP government doesn't have the majority. BJP keeps talking about social engineering. 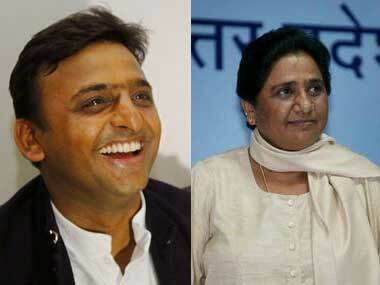 So I also decided to correct my poll arithmetic and did it through this alliance," Akhilesh had 'explained'. Both former Uttar Pradesh chief ministers have repeated time and again that their ultimate goal is to dethrone the BJP. Why then did they not include the Congress in the alliance to prevent a division of votes? Akhilesh's explanation does not explain much. The SP-BSP combine lays bare the clear contradiction between the objective the entire Opposition has put forward of keeping the BJP from winning a second mandate — as well as taking the country away from the rigid direction towards which it's headed — and the determined refusal of Mayawati and Akhilesh to include the Congress in its alliance. If this political game ultimately splits the anti-government votes, the BJP will enjoy the last laugh. If we observe the statements made by both Mayawati and Akhilesh at the rally in Deoband on Sunday, it appears as though they might have realised this conundrum. The BSP and SP presidents appealed to Muslims to not "waste their votes" on the Congress. 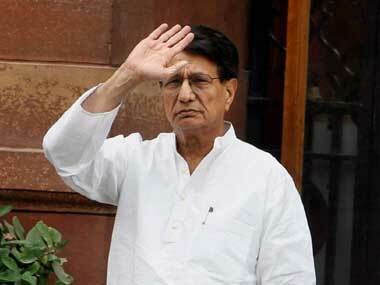 "I would like to tell Muslim voters to not waste their vote on the Congress. The Congress is not in this fight. 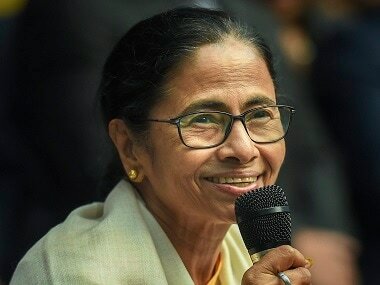 We are fighting the BJP, and we will win," she asserted, changing her tactic to accuse the grand old party of being more interested in taking boat rides and cutting secular votes than listening to the woes of farmers. However, what drives home this point is the location the alliance chose to hold the first of its joint rally — Deoband, Muslim dominated and home to Islamic seminary Darul Uloom. Deoband is one of the five Assembly segments of the Saharanpur parliamentary constituency in Western Uttar Pradesh, where Muslims make up 40 percent of the voters. 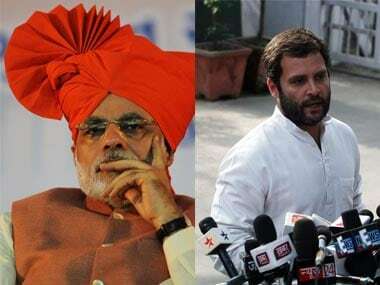 In the 2019 Lok Sabha election, Congress candidate Imran Masood is being seen as a strong contender against the BSP-SP's joint candidate Haji Fazlur Rehman and the BJP's Raghav Lakhanpal. Although Masood had lost to Lakhanpal in the 2014 polls, the tables are believed to have turned since the 2017 Dalit-Rajput violence in Saharanpur. It's a three-way contest this time, which indicates that the SP-BSP combine's Deoband rally was an attempt to prevent the transfer of minority votes to the Congress.